A report from Reuters states that the Nexus 7 has been selling incredibly well in retail chains and the device has sold out on the first day of availability. The next allocation of shipments is not expected to arrive in retail stores until August. The device is still available online on the Google Play Store. This isn't really a surprise to as the Nexus 7 filled a much needed gap in the market. 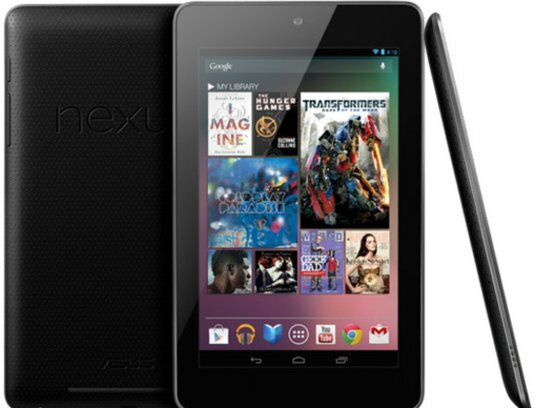 Keep in mind that only the 16GB version of the Nexus 7 was available in stores. So we still have no indication of the sales of the 8GB version online, although based on all indications those are selling well too. The strong sales of the Nexus 7 may even explain Amazon's interest in carrying the product even more. After all, Amazon is an online retailer first and foremost. Google and Asus had planned to manufacture 3 million units in the second half of 2012. It will be interesting to see if Google expands manufacturing based on the demand or expects other OEMs to meet this demand.